For nearly all of Game Of Thrones’ run, one of the big questions was when/if the scattered Stark kids would be reunited. As the years went on and the Starks got beheaded, stabbed to death at weddings, and joined faceless assassin cults, it seemed increasingly hard to believe that Jon, Sansa, and Arya would ever get a chance to hang out and talk about their direwolves again (even though, uh, most of the direwolves are also dead now). Of course, save for Jon going out to flirt with his aunt, the remaining Stark kids are all back together as we head into the final season, and HBO is even planning a larger Stark reunion for once the series comes to an end. 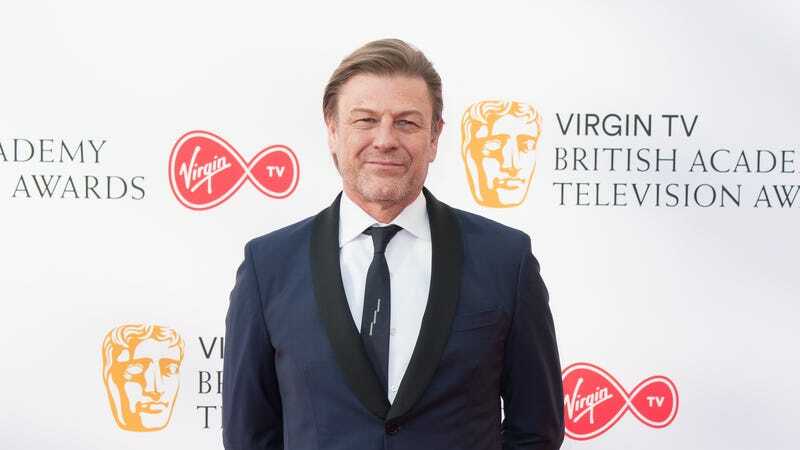 As reported by Entertainment Weekly, dearly departed Stark patriarch Sean Bean is set to appear in the Conan O’Brien-hosted Game Of Thrones reunion special alongside—at the very least—the actors whose characters managed to survive long enough to make it to the final season. That means he’ll definitely get to meet back up with Kit Harington, Sophie Turner, and Maisie Williams, as well as Alfie Allen, even though he’s just an honorary Stark. EW says that Jason Momoa has also been spotted a few times hanging around the Game Of Thrones set this year (even though his Game Of Thrones character also died a while ago), which means he might appear in this special as well. If this sounds like a lot of fun and you’re excited to check it out, there’s a massive catch: The special won’t air on HBO… or any TV network. It’ll actually be exclusive to an upcoming Game Of Thrones series box set, so you’ll have to buy all eight seasons on DVD or Blu-ray if you actually want to see Ned Stark hug his kids one last time. Currently, HBO is selling a box set that includes the first seven seasons of the show for $230, with that box presumably being marketed exclusively to fools, so the complete series set will definitely cost slightly more than that. Then there’s the fact that some big fans have probably been buying the individual seasons this whole time, so they’re being extra screwed here. Though, to be fair, somebody’s just going to post it on YouTube immediately anyway.